Joomla, the free, open source content management system built on Model-View-Controller (MVC) framework can be used for small and large business entities. Joomla CMS can be used to create online publications, community sites and personal websites. Joomla can easily migrate with any server. We can connect Joomla to any of the databases like MySQLi, MySQL, PostgreSQL and MS SQL. Joomla CMS has received many recognitions and awards for its security and support. ShareSoft Technology, the pioneer in web design and development services provides all kinds of personalized solutions in all the latest technologies as per your business needs. We provide Joomla development services and our Joomla experts with good industry and market knowledge ensures to deliver best-in-class Joomla solutions.  Why do you want to consider us for your Joomla development services? We are a one-stop hub where you can get all your requirements fulfilled, say it – your design requirements, developing the website, customization services, marketing your brand, or consultation service, content writing and more. Contact us for your Joomla requirements, though it is a module development or designing templates even a simple consultation query about Joomla CMS. We are glad to answer them.